Ramblings of a Makeup and Shopping Addict: Nail Art - Fishtail & Pineapples - with Tutorials! 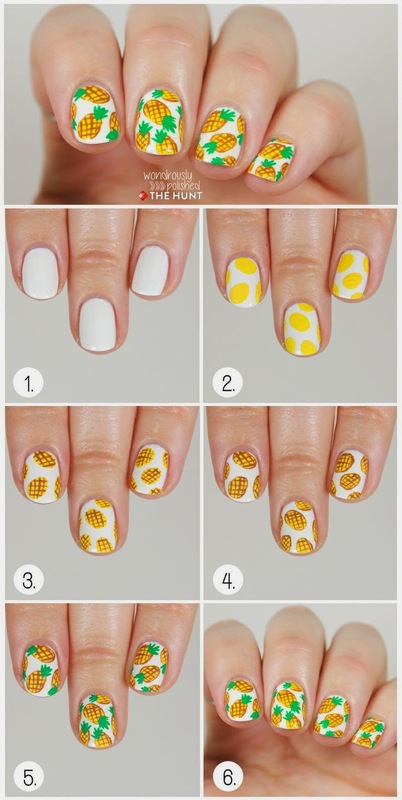 Nail Art - Fishtail & Pineapples - with Tutorials! Anyway, I have some nail art that I haven't shared yet on my blog that I did in the month of July. This was in Atlantic City, we had green tea ice cream, it was pretty good! Below is the tutorial I followed. As you can tell it didn't come out as good as the photo. My manager, the CFO, thought they were bugs. Haha. This actually took me a whole hour, and I'm glad I only did the accent nail. 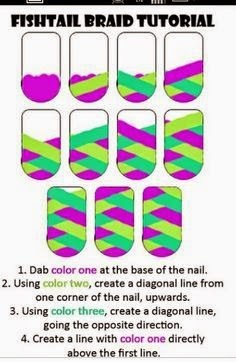 The trick with this nail art is waiting for each layer to dry completely so you don't have a mix of colors. This was probably my favorite look I've ever done, but expect to spend at least a hour on it!